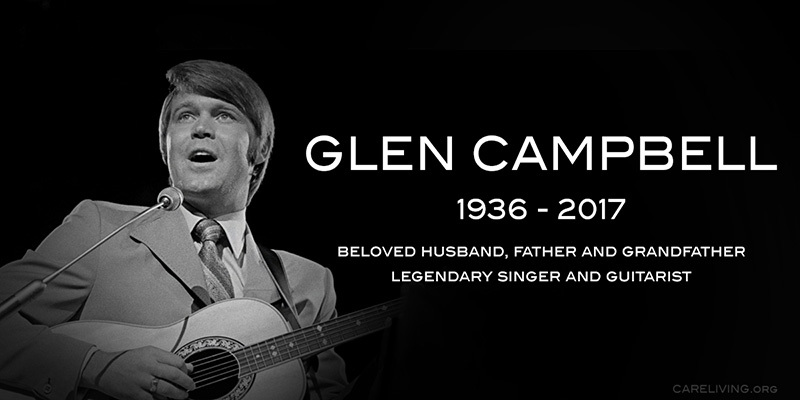 Please support the Glen Campbell Memorial Fund for Alzheimer's research and education. Title Mr. Mrs. Ms. Dr. Sr.
By providing your email address, you will receive periodic communications from Alzheimer's Disease Research, a program of BrightFocus. You may unsubscribe at any time.